Ever since Darwin fingered natural and artificial selection as the driving forces behind evolution, scientists have wondered how our mate choices affect our species’ evolution. After all, we typically judge mates by appearance, health, abilities, wealth and behavior. And to the extent that these traits are genetic, they should become more prevalent as time passes. Now we hear of a study showing that both genders place great importance on “playful” behaviors — being able to play, laugh and enjoy life. Why? As a first guess, women may find playful males less threatening to themselves and their children. 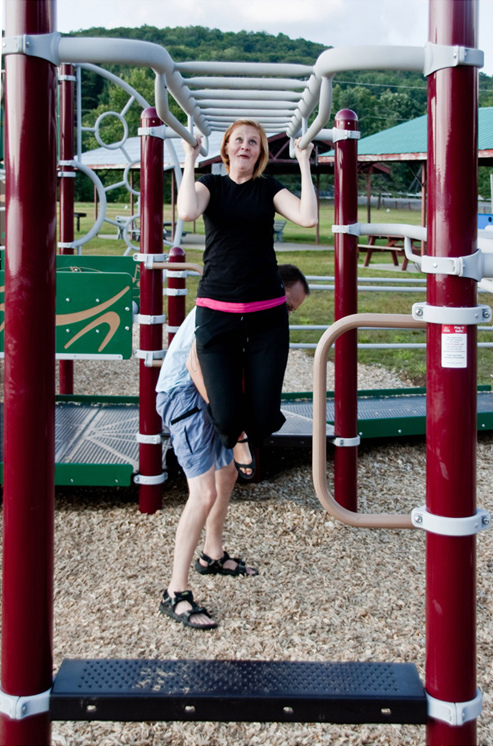 Men may link playfulness to youthfulness — and hence the ability to make children. In the grim spreadsheet of evolution, genetic traits — both structures and behaviors — that are “selected for” become more common in subsequent generations. Traits that are “selected against” grow scarce or get chucked into the trashcan of history. So just as the aggressive wolf underwent selection to became the tame dog we know and love, our mates choices affect the character of our children. Sometimes, fun is just “fun.” Sometimes, it may have a much greater evolutionary meaning — one that tends to make future humans more inclined to have more fun. Is this a good deal or what? In the rerun, Chick, Colleen Yarnel and Andrew Purrington inserted three new characteristics: “playful,” “sense of humor,” and “fun loving.” Their additions were popular: each of them ranked in the top five of the 15 listed traits, and “sense of humor” ranked first overall. 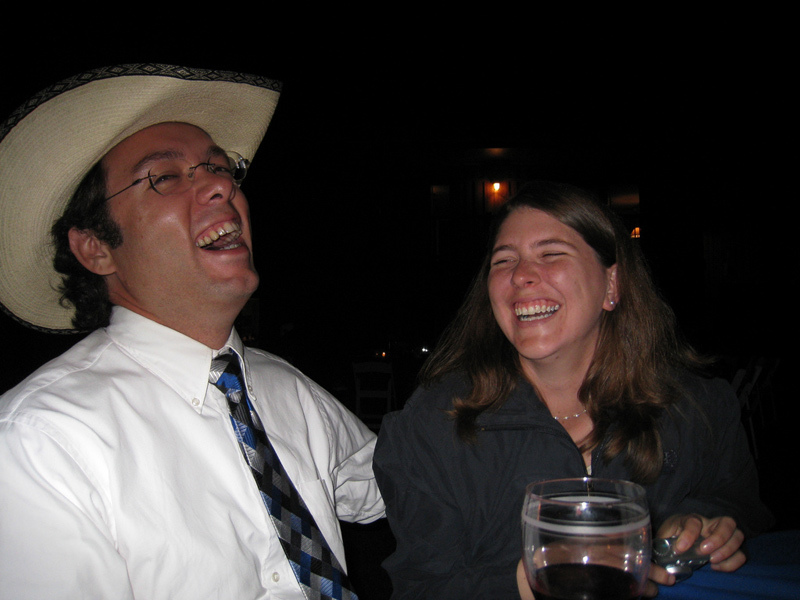 Is humor and having fun in our genes? And some forms of adult play, like rock climbing, football, biking and cheeserolling, are downright dangerous, Chick adds. 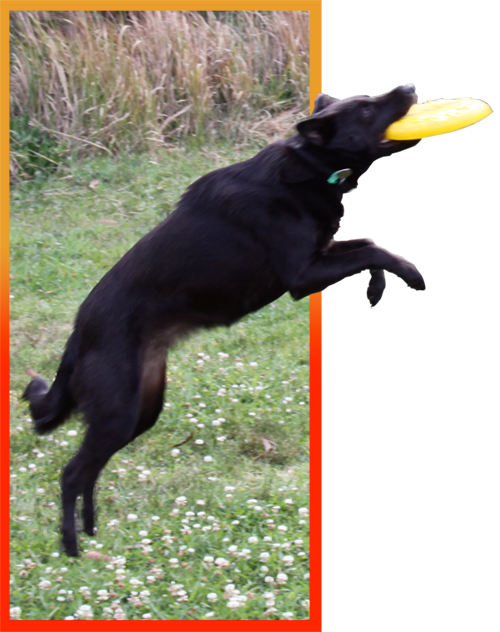 Although play is difficult to define, adults in many species can be enticed to play by young scamps. But play between adults only appears among people, dogs and bonobo monkeys. The study rests on the assumption that some behaviors have genetic influences, and although it’s possible to get arm-wavingly broad by claiming that genes influence everything we do, there is good evidence that genes affect behavior. Twins separated at birth show many parallel behaviors. You could have a great time, or break your leg stumbling down a steep hill, at the Cooper’s Hill Cheese-Rolling and Wake, held near Gloucester in the Cotswolds region of England. 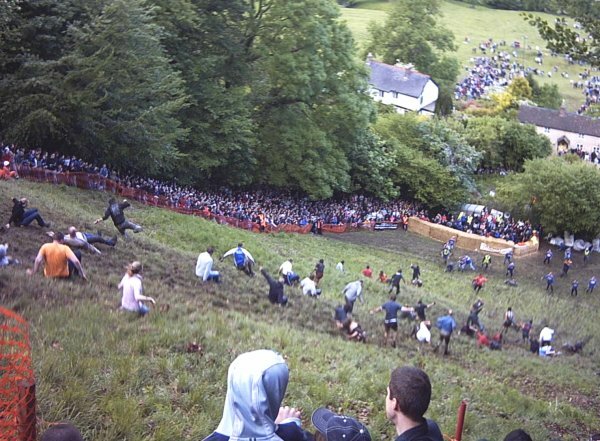 Competitors chase a round of Double Gloucester cheese down the hill. The first person to reach the bottom gets what’s left of the cheese. As the rapidly rotating round can be moving 70 miles per hour (112 km/h), even gawkers are in peril! These inclinations would not have to operate consciously in order to be powerful, he says. Nor would they need to rule every time. Experiments show that behavior can change rapidly over the generations. A Russian project, for example, used selective breeding to change the silver fox into a dog-like pet. After only 10 generations, 18 percent of the foxes were extremely tame. Nice catch! Many dogs live to play! Admittedly, the study did not look at behavior. “These are just stated preferences, it’s not a proof,” Chick says. Chick admits that while college students are the cheapest, most available audience for social and psychological research, there are legitimate questions about how well they represent the broader society. 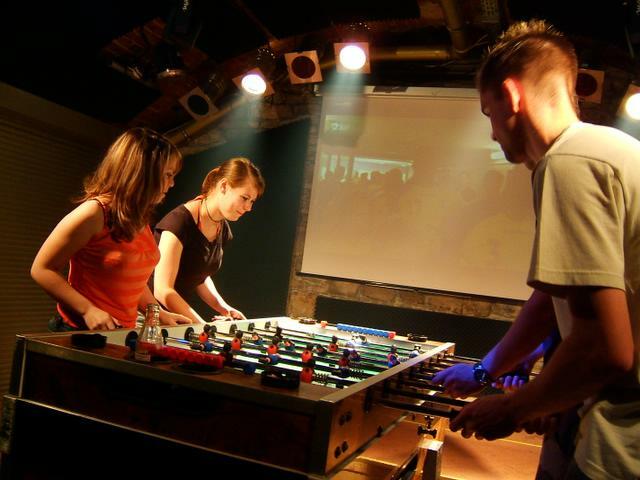 Playfulness seems to be a desirable mate trait, so it makes sense that playing foosball together would play a special role in the dance of the sexes. Chick suspects that women find playfulness to be a signal for non-aggressiveness, while men find it denoting youthfulness and reproductive capacity. But “we never tested that question directly,” he says. In any case, that would also tend to promote playfulness in the next generation. Next up, Chick says, is a look at how well expressed mate choices line up with real mate choices, again in college students. Cooperation: It's in the bird's brain!